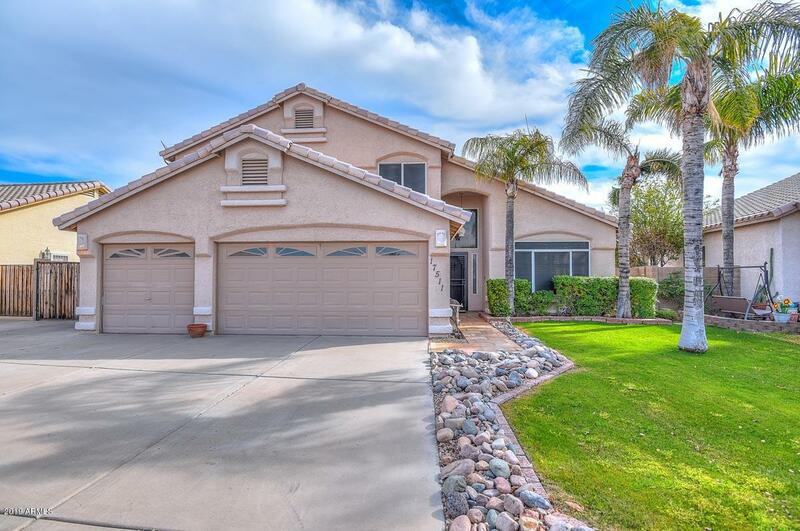 All Bell Park homes currently listed for sale in Peoria as of 04/23/2019 are shown below. You can change the search criteria at any time by pressing the 'Change Search' button below. "Wow! Check out this fantastic 4 bedroom, 2.5 bath in an amazing location - close to the 101, P83 entertainment district and major sporting venues. Pretty landscaping with nice palms greet you when you arrive at this home. Step inside and you will find a large living/dining room with vaulted ceilings and an elegant stair case leading to a fabulous loft area. Very nice kitchen overlooking the family room that is anchored with a cozy fireplace. In the kitchen you will find granite counter tops, "